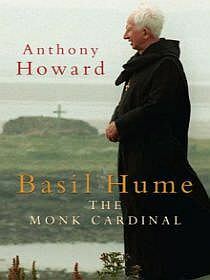 Basil Hume: The Monk Cardinal, Anthony Howard. Hodder Headline, 2005. 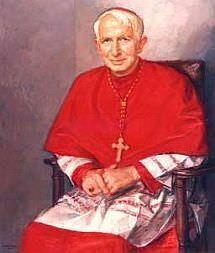 Apparently the Queen referred to the late Cardinal Basil Hume, Archbishop of Westminster, as ‘my cardinal’. Clearly many Britons felt the same. Just before he died in 1999, she spent half an hour with him when investing him with the Order of Merit. According to his confessor, they talked about 'death, suffering, the after life – that sort of thing'. The author of this authorised biography, political writer Anthony Howard, former editor of the New Statesman and the Listener, points out how rare this is. At the one time it is a sad reflection on the remoteness of the British monarchy that the sovereign has so little time with her most eminent subjects, and an endorsement of the special qualities of this remarkable man. Why should this book about an English cardinal who died in 1999 interest readers in Australia? 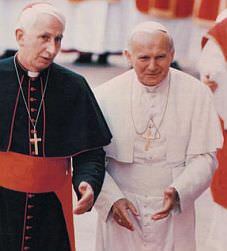 The answer is that Basil Hume died as one of the most respected religious figures of the 20th century in Britain, and had an international reputation as well. He was often reported to be more popular than successive archbishops of Canterbury. He was able to balance London and Rome without losing local liberals, or incurring curial and papal ire. He was seriously considered papabile, although the year of the three popes came too early for him. He was the calm voice of Catholic Christianity in England on many contentious social and political issues, and was associated with the prolonged, uncomfortable and ultimately successful challenge to the British justice system posed by the case of the Guildford Four. Such public spiritual presence and moral courage always attract attention and curiosity. In an age where celebrity is everything, it seems that Basil Hume was a household name of a rare kind: a spiritual celebrity in secular Britain, even at Buckingham Palace. Perhaps unfairly I hoped this book would help to unpack the essence of this spiritual man, and even more so, illuminate the nature of a spiritual character itself. In this I was both disappointed and enthralled. The book is a rattling good read for those who like political biography, and this after all is the writer’s genre. But the disappointment comes from his inability to grasp and reveal the spiritual man. On further thought, this is perhaps a naïve and unreasonable expectation to have of any such work. In fact the spiritual dimension of his character and work proves to be as elusive as in any analysis of true inner self. Howard is no hagiographer. He does not display the Catholic bias of an insider, but offers a work of respect by an Anglican clergyman’s son. Feet of clay are only fleetingly suggested by passing reference to a ‘short fuse’, and by the suggestion of his rivalry with Derek Warlock, who received the second prize of appointment to Liverpool at about the same time. An acrimonious battle over conservative government changes resisted by Cardinal Vaughan School in London led to one of his few internal defeats. Sustained pressure from conservative quarters over the political involvement of Monsignor Bruce Kent obviously tried his independence, loyalty and patience. His letter to Prince Charles after Princess Diana’s death, stating that 'only God sees all of us' drew a frosty response. His reported pastoral comment to Catholics after Pope John Paul I’s sudden death, that ‘God’s ways are not always man’s ways’ was not included in the book, but I remember it as impressive at the time. His summary of Benedictine educational philosophy as being to ‘prepare our boys for death’ is memorable, and reminiscent of the Buddhist spiritual exhortation to live each day as if it might be your last (because it might be). Of course it is a meditation on living more than ondying. It is perhaps in final things, in preparation for and understanding of, death, that his spiritual weightiness shines most. A dying woman in a hospital whom he visited said that she would pray for him. He responded ( no doubt initially worrying, then awing onlookers) that this was especially welcome, because God listened especially to the prayers of the dying. He also wrote to his diocesan clergy on learning of his own terminal cancer: 'I have received two wonderful graces. First, that I have been given time to prepare for a new future. Secondly, I find myself - uncharacteristically - calm and at peace.' This word ‘uncharacteristically’ is a fascinating and tantalising ‘throw away’ suggestion that the resolve and dignity of his public religious life belied deeper struggles. Howard refers to them briefly at various points in the book, mainly in the context of the traditional monastic formation. I remember Hume preaching at the parish church of my teaching hospital soon after his appointment to Westminster. The ‘geriatric squash player’, made his way unassumingly to an Anglican pulpit. I also remember reports of quiet late-night visits to clergy facing surgery. Maybe the best we can say is that ultimately we cannot define or capture true spirituality, but that we recognise it when we see it. I saw and felt it with Basil Hume, and so did a whole nation over twenty three years. Almost exactly 60 years ago George Orwell published a wonderful essay called, Some Thoughts on the Common Toad... The point of the essay was to insist ‘that the pleasures of spring are available to everybody, and cost nothing’.